Today, it’s a showcase for what could be seen as the perfect renovation, with a third bedroom, airy open-plan layout, a sleek modern kitchen and an underground workshop and storage. 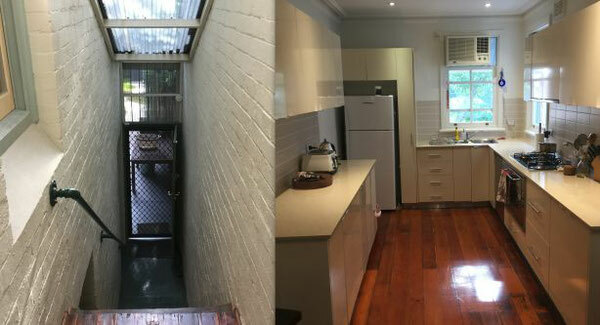 When finance industry worker Amynta Wilson bought her house in 2013, it was a typical old two-bedroom terrace with small living and dining rooms, a kitchen that had seen better days, and an outside toilet and laundry. Prior to being renovated, the interiors were dark, and there was no lower level living area. There’s a glass ceiling in the void to let in lots of natural light, big windows and a seamless transition to the outdoor barbecue patio and entertainment area, and a leafy green garden to the back of the 209-square-metre block. The designer kitchen has Caeserstone counter tops, German appliances and the old flooring has been replaced with hardwood gum. “We also excavated under the house to create even more storage, a cellar and workshop,” says Wilson, who used to jog to work in the city. 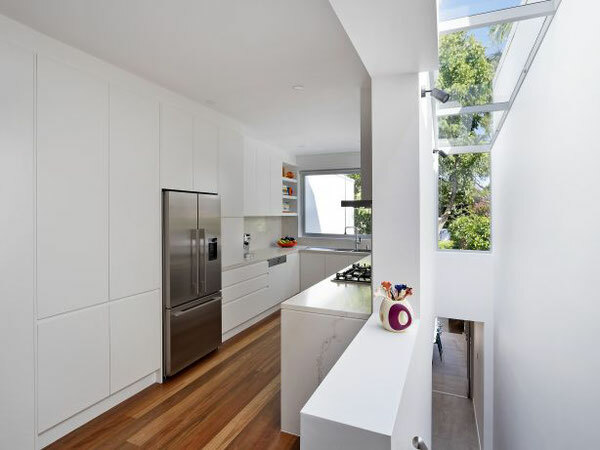 A glass ceiling void was a necessary inclusion to allow more light into the home. Kathlyn Loseby, President of the NSW Australian Institute of Architects, recommends taking time to select an architect whose work you like and who you can get on with, as well as a quantity surveyor to prepare a realistic plan of costs. Archicentre Australia director Peter Georgiev says to remember that only fools rush in. 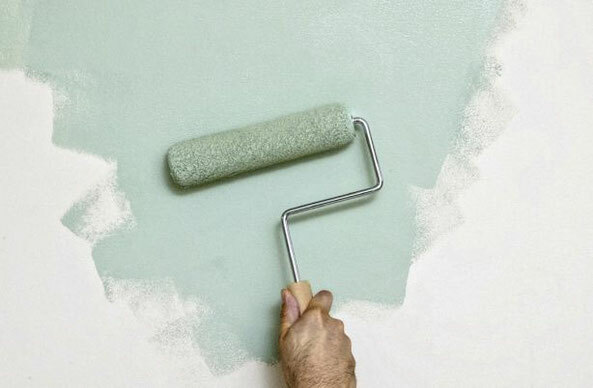 Spend time checking out everything about the property first; you don’t want to install a magnificent designer bathroom before sorting out the rising damp problem. Diana Ribarevski, head of interior design at Coco Republic, says that renovating a home is still hugely in vogue today, especially if it’s possible to expand its footprint or cleverly add value by reconfiguring its spaces. An old house doesn’t necessarily demand a period renovation, either. “Juxtaposing a period home with a contrasting contemporary-style renovation always works extremely well,” she says. Contact Us For A Free Kitchen Renovation Design Quote Today.